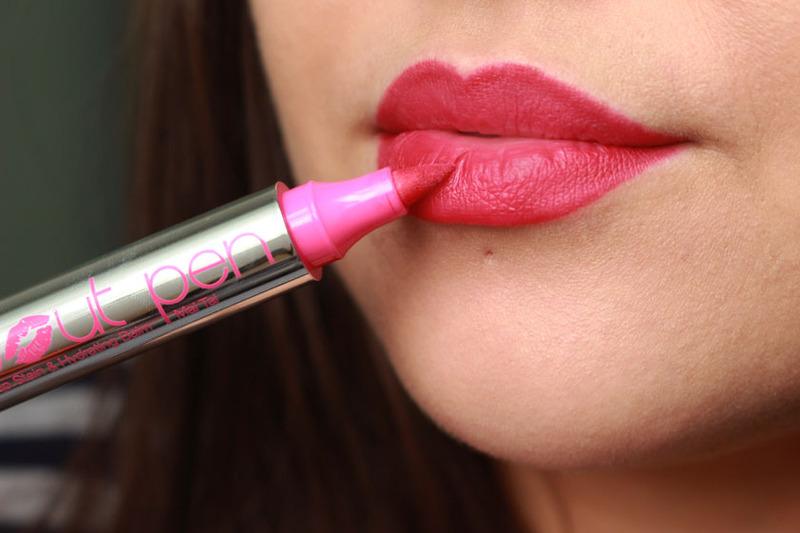 I really like lip stains and I remember a time when the only thing I wore on my lips was Benetint, I went through so many bottles of that stuff! 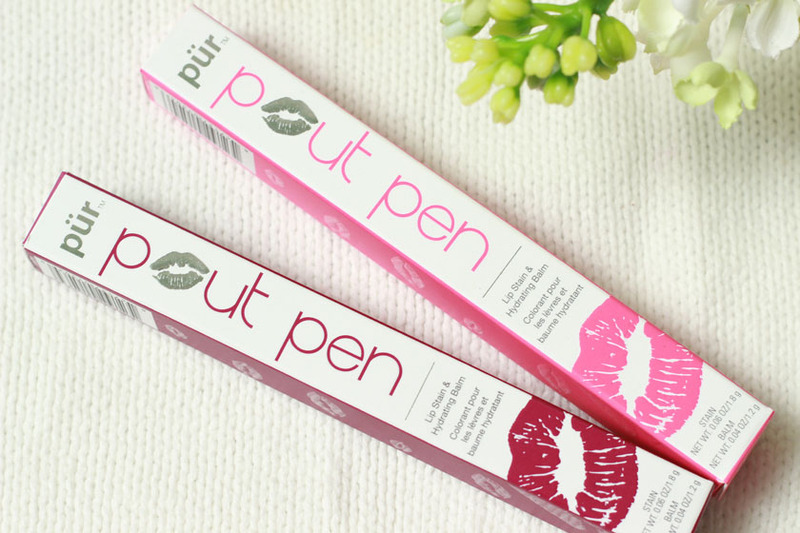 I also stained many tops with it, so a tint in a pen/marker format, like the Pur Minerals Pout Pen* (£14.00) is a godsend! I was kindly sent two shades to try out and I am in love! The Pout Pens are double sided, with a stain on one end and a balm on the other. 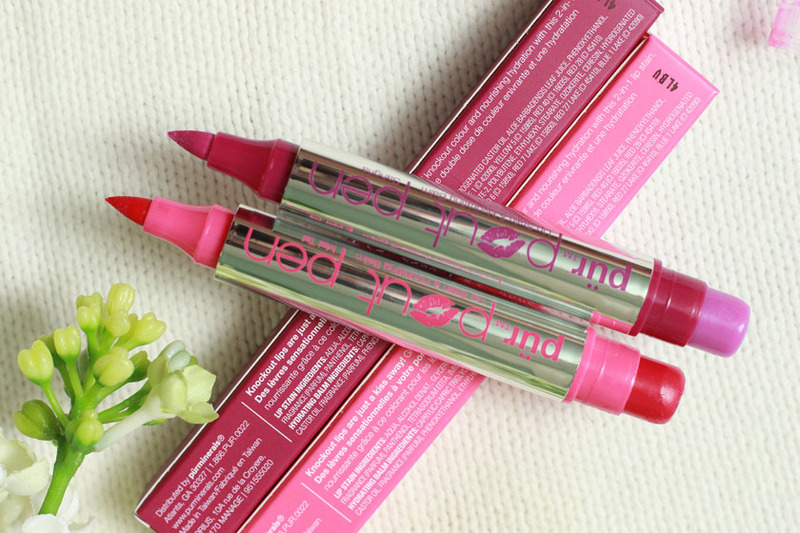 The stains are super easy to apply and the lip balm is very hydrating and glides on like a dream. The formula is paraben-free and also infused with natural extracts to enhance moisture and shield your lips from free radical damage. Lovely! Like most stains, these are very long lasting and stay put for over 6 hours. That's when they start to fade a bit, especially if you had a meal etc. The balms are almost clear, so they don't add any colour, but they feel lovely on the lips and I like how much shine they add. The two shades I received are Sangria and Mai Tai. 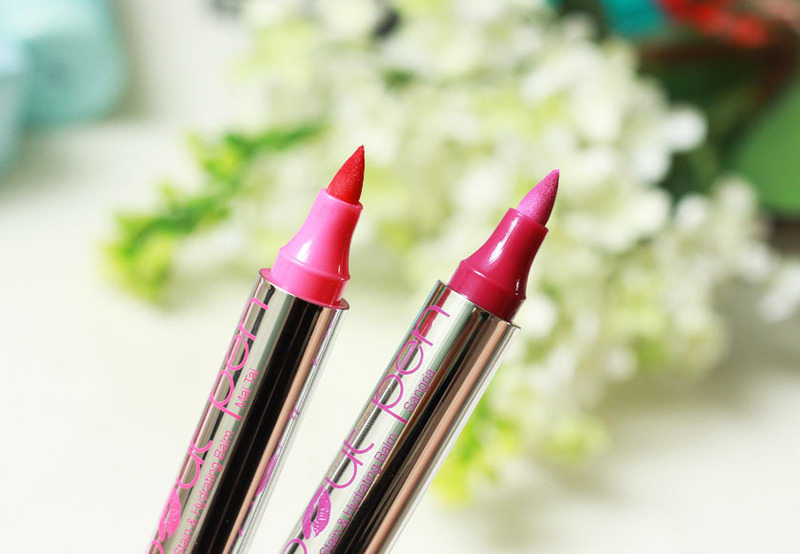 Sangria is a purple toned fuchsia pink and Mai Tai is a warmer pink with a red undertone (it was hard to capture it's true colour). You can see how these look like on my lips on the photos below. Mai Tai - Stain only. Mai Tai with a balm on top. Sangria with a balm on top. 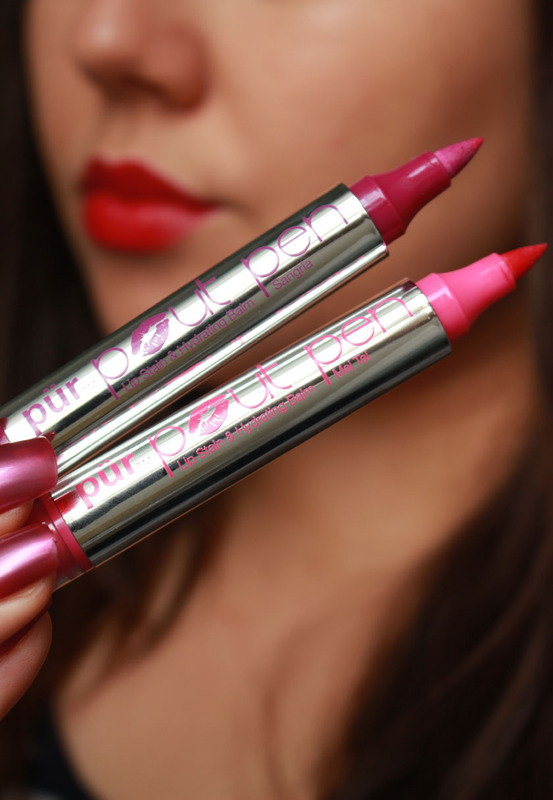 Overall, I adore the Pur Minerals Pout Pens, especially when I want my lip colour to be child/kissproof. I usually end up leaving big lipstick marks on Zachary's face :) Not with these though, as they do not budge!